I was digging through my handful of photos of Matt Wieters playing for Georgia Tech, in honor of last night’s 10th inning grand slam for the Orioles, and realized that it’s been almost five years since the first time shep. and I saw him play. It was May, and I was just finishing my Master’s degree, and we didn’t actually know anything about the Wiets besides the fact that he was a tasty-looking blond man-mountain with a cannon for an arm. (Georgia Tech had a long run of tasty-looking man-mountain catchers, really. Cole Whats-His-Name from 2008, I’m looking at you. What are you doing now? We could use a man servant.) The Orioles drafted him a few weeks later and I was so thrilled that I fell off the couch and cracked my knee on the coffee table and had a huge bruise for weeks. That was the spring that my life fell apart, that I fell in love with college baseball for good, that photography started to be something that kept me sane and drove me to make art. I took this photo with my old Nikon Coolpix. 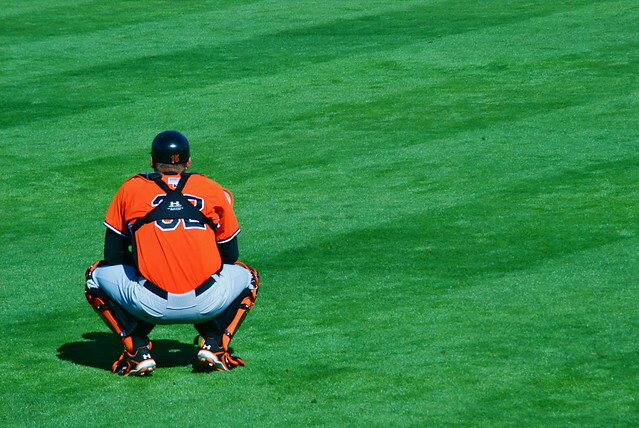 It was the first spring of the Wieters. The Orioles are, somehow, miraculously, half a game in first right now. I think they were already mathematically eliminated by this point in 2007. The more things change, I guess, the more Matt Wieters is still a tasty-looking blond man-mountain with a cannon for an arm. The more things change, the happier I am. 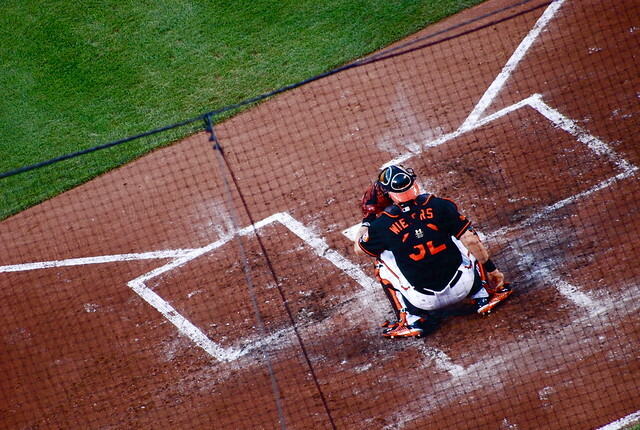 Matt Wieters: the subject of all love songs ever written. Happy pitchers and catchers! Author brandnewkindofPosted on February 13, 2011 February 12, 2011 Categories designed to break your heartTags baltimore orioles, baseball, major league baseball, matt wietersLeave a comment on happy pitchers and catchers day!